Our Twinkle Little Star Wall Sticker is a Twinkle Quote Wall Decal. Free Gift moon and extra stars with your order. Free delivery over R500 in South Africa. This Twinkle Little Star Wall Decal comes in Snow White, the is the most cost effective option. Jet Black, Grey, Dove Grey, Warm Grey, Light Grey, Milk Tart, Sandy Toes, Nutmeg Forest, Choc Chips, Dark Roast, Bok Jersey, Lush Grass, Key Lime, Creamsoda Float, Aqua Marine, Topaz Ice, Cornflower Blue, Deep Sky, Azure Splash, Royal Wave, Navy Cadet, Purple Slushies, Lavender Bouquet, Pale Plum, Candy Floss, Raspberry Cerise, Rich Pinotage, Fire Engine Red, Naartjie Zest, Summer Sunshine, Matt Gold, Matt Silver or Mirror Metallic Rose Gold. Want the same Colours as the Main Photo? The main photo of our Twinkle Wall Art is Snow White. 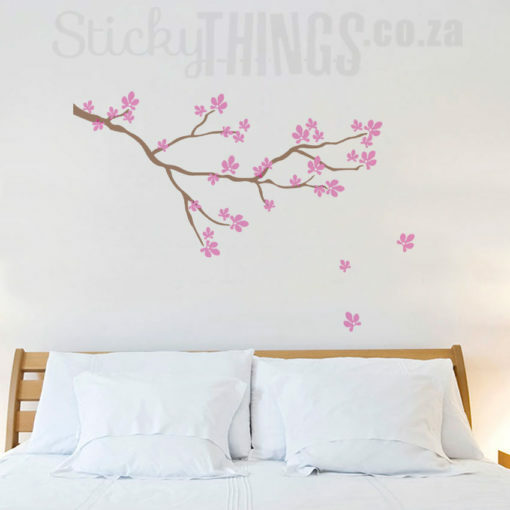 If positioned like the main photo, the Twinkle Little Star Wall Sticker measures approx. 2m x 80cm (h). – Wall Art Quote: Twinkle Little Star, do you know how Loved you are? (98cm x 20cm). – Stars: 13 Stars (range from approx. 2cm-10cm). – FREE: 71 Stars (60 of 2cm, 7 of 3cm and 4 of 3cm) and 1 Happy Moon (approx. 13.5cm). The Twinkle Little Star Wall Decal is the perfect wall accessory for any baby room or nursery. A variation of the popular lullaby Twinkle Twinkle Little Star – which is actually based on a poem published in 1806 by Jane Taylor called “The Star”. Our Twinkle Wall Decal, however, says: Twinkle Twinkle Little Star, do you know how loved you are? We especially think it looks incredible above babies cot or changing table. The Stars come separately so you could also them as you wish – on walls, the ceiling and even on your baby furniture like drawers, cupboards or even the crib itself. And: We also love the happy moon and 70 free stars that come in same colour choice for free! We also have an Afrikaans version Sterretjie Sterretjie Muur Plakker. Average Installation Time: 1.5 hours. Difficulty Level: 4/10. Very detailed instructions included, all our stickers are designed for first timers – so don’t worry. The calm night-time theme of our nursery was built around the “Twinkle Twinkle ..” decal in custom white from Sticky Things Wall Stickers. Thank you for the great service!